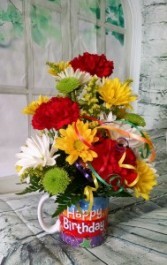 Cute happy birthday ceramic mug filled with beautiful fresh colorful flowers. 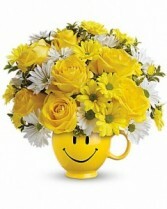 Perfect for a desk or end table. 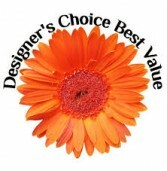 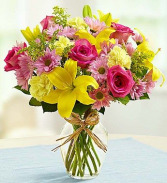 Beautiful glass blue vase designed with mixed colors and variety of fresh flowers. Happy Birthday balloon in colors to match. 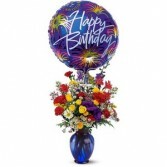 *Happy birthday balloon may be different do to avalibility. 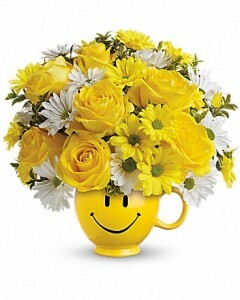 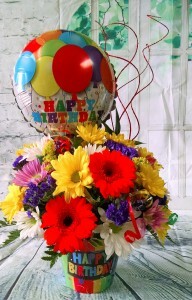 Beautiful fresh colorful flowers arranged in a happy birthday container. We have added some bright curling ribbon and a medium size balloon, great for a table at a get together or party.